Name: Shawn M. Bediako, Ph.D.
Dr. Shawn Bediako is a community psychologist practitioner who is engaged in both community psychology practice and education. Dr. Bediako is an assistant professor in the Human Services Psychology program at the University of Maryland, Baltimore County. He teaches community and applied social psychology and behavioral medicine and supervises students interested in these areas. 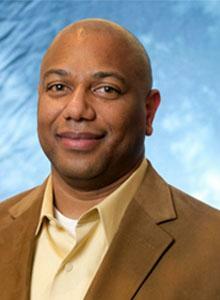 His research focuses on adults’ psychosocial adjustment to sickle cell disease. More specifically, he examines how social perceptions about individuals with sickle cell disease are formed by laypeople and health professionals. Dr. Bediako, as a community psychologist, uses his research and advocacy to bring awareness to the need for comprehensive services for this population. Dr. Bediako’s involvement in the community provides opportunities for him to utilize the skills and competencies gained during training. These skills include incorporating psychological and systems level theory into community projects, contributing to collaborative organizational decision-making, developing social marketing and working with stakeholder groups. For example, Dr. Bediako collaborated with an organization to design a media campaign in an effort to educate persons getting regular blood transfusions about iron overload. He also has worked with a group from a state health department to increase awareness of and knowledge about sickle cell disease and sick cell trait by helping develop its public health strategy. Dr. Bediako is actively involved with a number of empowerment groups that address issues such as manhood development, unemployment and dietary behavior. Dr. Bediako’s training and personal experiences have played a very important role in his efforts to teach and practice community psychology. Dr. Bediako remembers how his father, a history/government teacher and minister, integrated social justice and empowerment into his ministry. He was exposed to the principles of community organizing and community psychology through church. Dr. Bediako earned his Master’s degree in Community Psychology from Florida Agricultural and Mechanical University, a that program emphasized the African-centered approach to systems theory as well as traditional theories and concepts. He was challenged to think about the application of these theories and concepts with respect to historical and cultural context. Dr. Bediako went on to earn his Doctorate in Social/Health Psychology from Stony Brook University. During graduate school, Dr. Bediako took advantage of a number of opportunities, such as, working with the Tallahassee Department of Health and the Center for Health Sciences at the University of Yaounde in Cameroon, which allowed him to utilize the skills learned in graduate school. Dr. Bediako believes that it is important for budding community psychologists to immerse themselves in the field, connect with mentors and colleagues and identify their purpose for why they do the type of work that they do. For him, clarifying his purpose and asking himself the question, “Have I done something productive to help inspire change in somebody’s life?” keeps him motivated. Dr. Bediako demonstrates his passion for community wellness by educating students about community psychology and applying community psychology concepts in the communities that he serves. His entire profile is available on the SCRA website, by clicking here.